Come Say Hello In Sydney & Melbourne! Calling all Supernatural fans! Random Acts is headed to Sydney and Melbourne next week, where events officer Bec Cross will be manning a table full of kindness-related activities in The Hub Productions’ All Hell Breaks Loose 7 vendors room from June 4-5! This time around, we’ve partnered with headspace, a national youth organization that provides early intervention mental health services to 12-25 year olds. As always, we’re hoping that, with your help, we can make a difference in one corner of the world and start a chain reaction of charity and generosity. Thanks to headspace, all of that is 100 percent possible. headspace was founded with the intention of making things “[as] easy as possible for a young person and their family to get the help they need for problems affecting their wellbeing”, according to the group’s description. 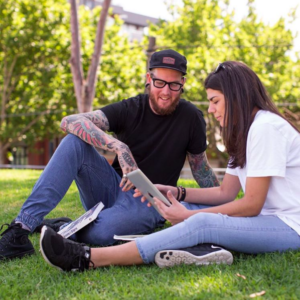 With a myriad of programs meant to assist young adults and teens in their struggles, including online counseling and a suicide prevention program, headspace offers young people a safe place in which they can open up. Because of the nature of Random Acts and headspace’s collaboration and the duration of the convention, Random Acts this year will be hosting a fundraiser for headspace’s Glenroy, Victoria and Ashfield, New South Wales centers, in place of our traditional donation drive. 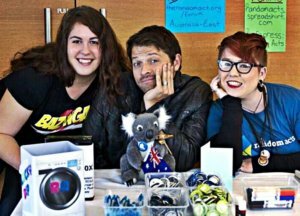 If you’re looking to support headspace over #AHBL7 weekend, visit Bec in the vendors room and ask how to donate directly to the cause. That’s okay too! We know not everyone has extra funds available to donate. If you find yourself empty-handed, stop by the Random Acts table anyway to sign our “yearbook” and leave a message of kindness for those living from mental health issues; There will also be a lucky dip drawing, so make sure to come by and see how you can take home some fun Random Acts swag! First off: We’ll miss you! Second: There are still ways you can participate! To find out how you can host your own headspace fundraiser, head over to the group’s site. You can make a one-time or recurring donation online there as well, if you don’t have the ability to organize an event or drive. Unable to donate? Find ways to give back to mental health advocacy and assistance in your neighborhood by volunteering at a local youth center or entering the screening process to become a trained helper. Any act of kindness, no matter the size or scope, is important. Whether we see you at #AHBL7 next weekend or not, we hope you’ll join us in making the world a better place. Let’s #GetKind! Make sure to follow along on our various social media channels throughout All Hell Breaks Loose weekend, in order to make the most of the big convention weekend! Events officer Bec can be reached on Twitter @RARepAustraliaE, or follow along on our general channel to get occasional updates between June 4-5. Don’t forget to tag your posts with #AHBL7 and #GetKind!